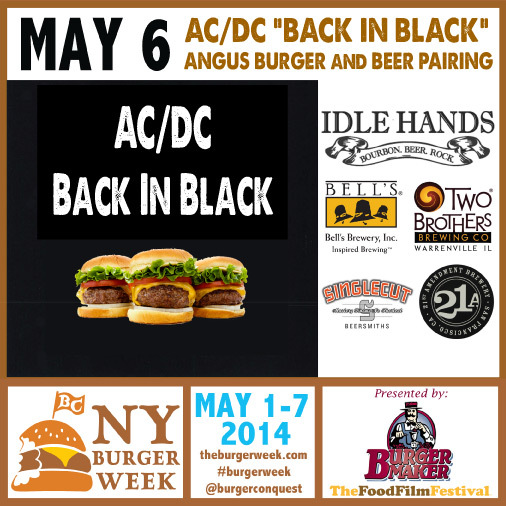 The Burger Week in New York kicks off May 1 at The Black Shack (320 Lexington Ave) with a unique burger collaboration. 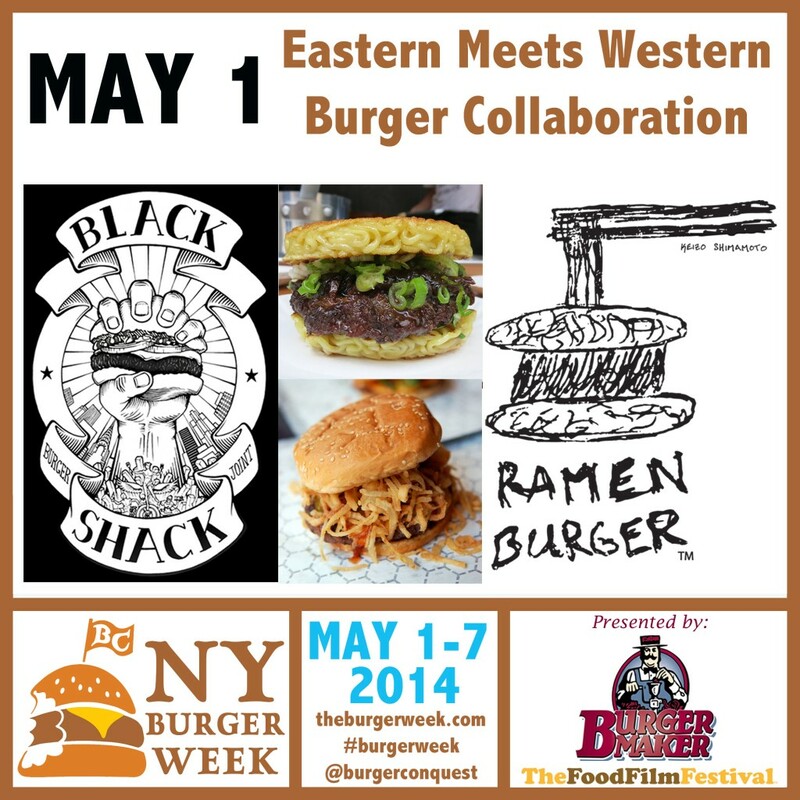 Chef Jeffrey Maslanka brings off-menu burgers to the Burger Week, this time with Ramen Burger creator Keizo Shimamoto. 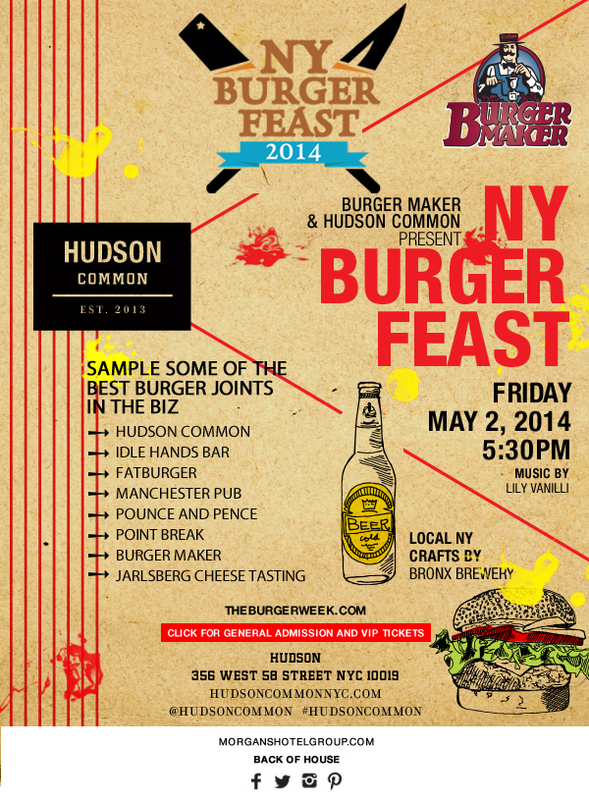 Chef Jeff was the creative force behind the 2013 NY Burger Week off-menu Burger brunch at 67 Burger. 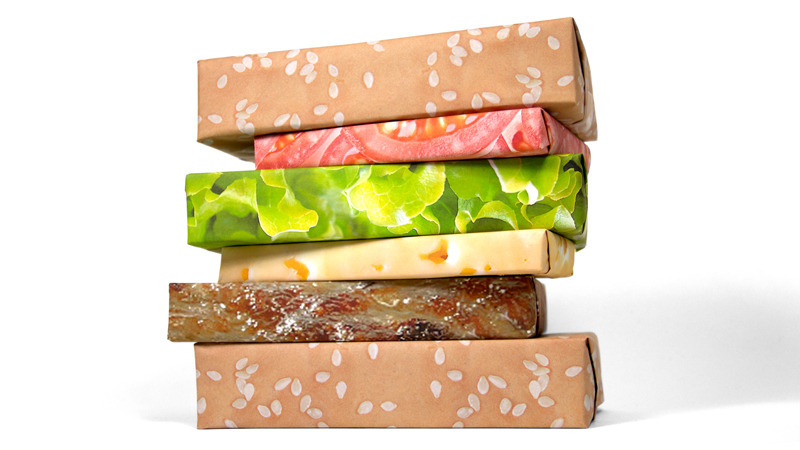 For 2014, he and Shimamoto will work together to re-imagine each other’s Burger. Keizo has re-designed Jeff’s Western Burger – and it will be served along with Jeff’s take on the Ramen Burger. 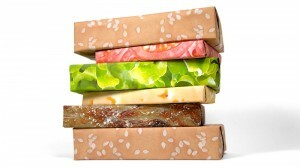 The dinner, limited to only 40 seats, will also feature a Black Shack off-menu Asian-themed side and a beer milk shake. Jeff’s – Ramen Spaghetti and Meatball Burger with Sunday Gravy and Mozzarella. Keizo’s – Western Meats Eastern Black Shack Burger with Burger Maker’s Certified Angus Beef Fresh Steakburger with a Slice of Pork Belly, Bamboo Shoots, Wood Ear Mushrooms, Fried Ramen Noodles Powdered with Miso Green Onions and Ramen Burger BBQ Sauce. Jameson Black Barrel Burger – Fresh ground ribeye, flambéed in Jameson Black Barrel select reserve atop its aged whiskey slaw & smothered with white Irish cheddar. T-Bone Burger – A blend of filet and strip, flambeed in tequila, wrapped in apple smoked bacon, topped with cheddar and crispy onions. M&M Burger – Our classic flambéed in whiskey topped with caramelized shallots, cheddar cheese & smoked apple bacon. 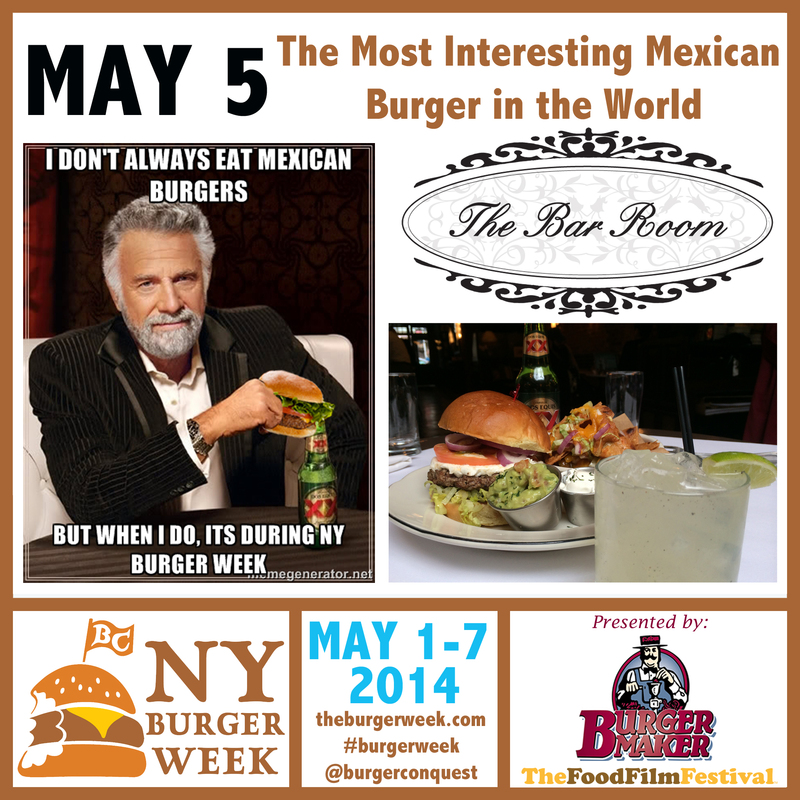 The Burger Week began many years ago at a boozy Burger brunch and for 2014 the tradition continues! 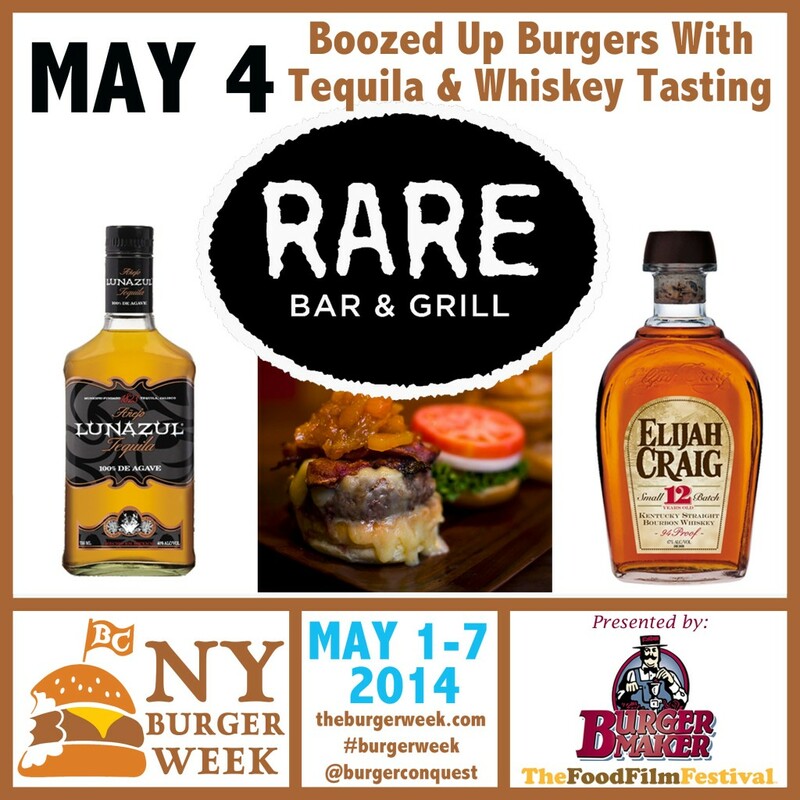 Rare Bar & Grill (303 Lexington Ave) will host Boozed Up Burgers With a Tequila & Whiskey Tasting Brunch on Sunday, May 4th for the 3rd Annual NY Burger Week. 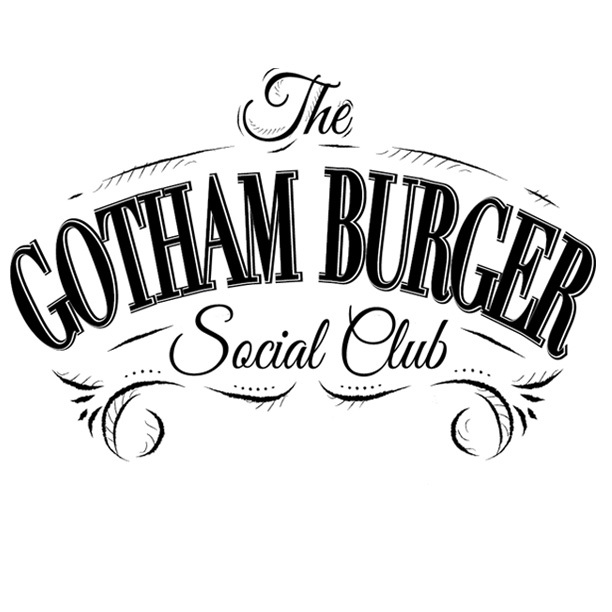 Proprietor and Burger aficionado, Douglas Boxer, has put together a Drunken Trio of Burgers, each of which is flambeed in a different liquor. You’ll taste all three as well as Rare Bar & Grill’s delicious Sweet Potato Chips topped with a Honey Drizzle. 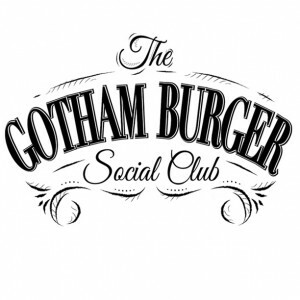 Along with the Drunken Trio Burgers, you’ll enjoy an expertly lead tasting of small batch Tequila and Bourbon. Returning to the Burger Week, liquor expert Jessica Partington from Heaven Hill will lead a tasting of Lunazul’s Blanco and Anejo Tequilas along with Elijah Craig 12 year Bourbon. Paired with 1 “Ransom Buck” which consists of Tequila, Habanero Syrup, White Pepper and Ginger Beer. Mexican themed Burger with a Spiced Patty with Aged Cheddar, Grilled Onion, Grilled Tomato, Fresh Pico de Gallo. Together the 2 of them will work hand in hand to recreate the Butter Burger from Solly’s Grille, the Green Chile Cheeseburger from the Bobcat Bite and Guberburger from the Wheel Inn. 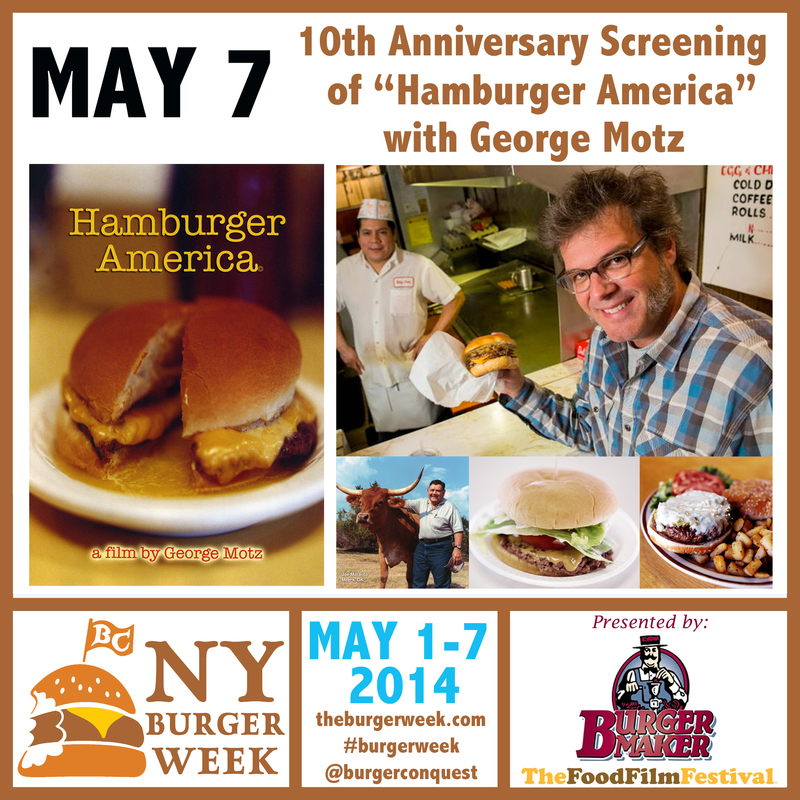 George as well as the Chefs and members of the Food Film Fest will be on hand to hang out and chat Burgers during the after party. 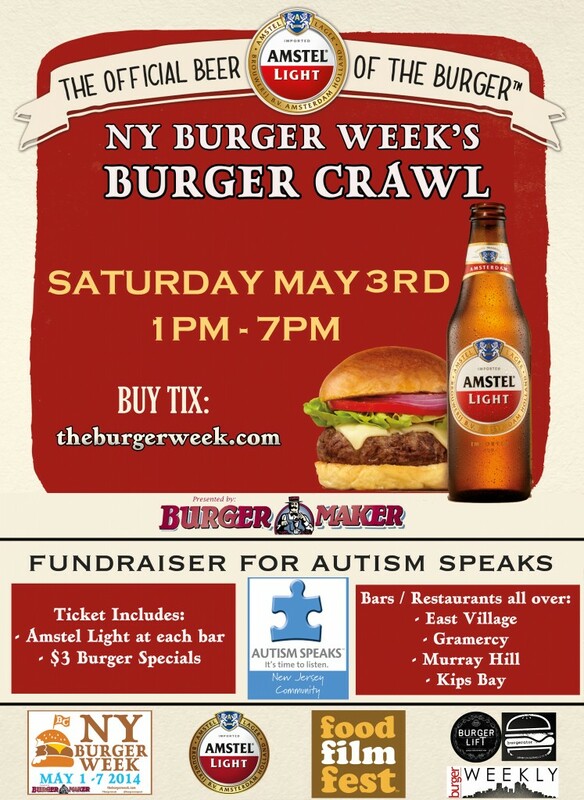 This entry was posted in Events, National Hamburger Month, New York, New York Burger Week and tagged amstel light, andrew zurica, autism speaks, Bar, Beer, best burger, Black Shack, breweries, burger, burger crawl, burger maker, ciancio, craft beer, david, dukes nyc, events, Festival, food festival, food film festival, george motz, gourmet burger, hamburger america, happy hour, idle hands bar, jeff maslanka, keizo shimamoto, ny burger week, nyc, pairing, party, ramen burger, rare bar and grill, restaurant, rev, sidebar, the bar room, the burger week, the food film fest, tribeca cinemas, village pourhouse. Bookmark the permalink.